While we upgraded and modded everything imaginable to squeeze every little bit of performance out of our beloved racers, Eachine took notice and has since released the PRO version of the Racer 250. Addressing a few of our biggest complaints upfront we are excited to get our hands on this new version. Yes, very much so. While the Racer is a solid platform out of the box, it didn’t leave much room to grow your flying skills. The new ESC’s are exactly what was needed to actually enable d-shot. 2205 brushless motors are pretty much the standard for this size quad. That original camera was junk and had absolutely no low-light visibility at all, while the new cam isn’t night vision, it works way better at dusk. The Pro version sports a huge reduction in weight by over 80 grams lighter than the original. Running on 4s, more voltage = more power, there was never any point anyways to those stock 3s lipos. 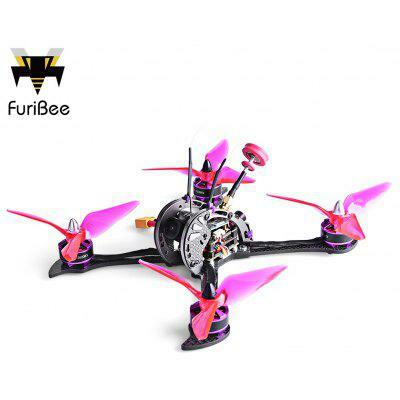 While Eachine has released many versions of their flight controller, the F36DOF is stable, easy to tune and all you need to get into Acro. To be honest, my OG Racer is dead and gone now… so I don’t have them side by side to test, but after 5 all tweaked and tuned in every which way possible I can say with confidence… the Pro is better, way better! The Racer Pro just feels like it wants to be twitchy, more punch, and less throttle to get where I want so my confidence in its capability has got me finally beating this step-child like the redhead it actually is! The great thing about the Racer is it took all the abuse like a champ, with it ugly plastic arms and big fat frame. Good news is the Racer Pro keeps that unique design which is what made it a tank and the recognizable beast we love to hate. Should I just get the Racer Pro from the start then? Yes, save yourself the headache… after owning the OG Racer for a few weeks, EVERYONE goes searching for upgrades. These are the upgrades that where such a pain to mod before, already done for not much more cash.